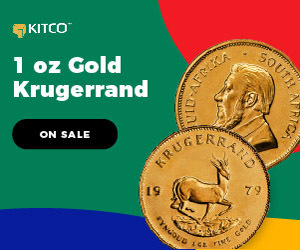 (Kitco News) - Federal Reserve’s monetary policy tightening is expected to take center stage next week, as rate hike expectations rise, putting pressure on the yellow metal, according to analysts. “Gold will head slightly lower next week from where we are now. 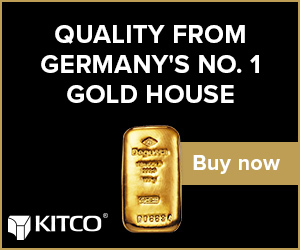 Re-pricing of Fed rate hikes as well as rallying U.S. dollar and bond yields will keep the pressure on gold,” Robin Bhar, head of Metals Research at Société Générale, told Kitco News. Gold prices were taken aback early on Friday, despite negative U.S. non-farm payrolls numbers, as traders chose not to focus on a decline of 33,000 positions in September, but paid closer attention to lower unemployment rate of 4.2% and rising annual wage growth of 2.9%. Since then, gold prices have recovered from daily lows, with December Comex gold rising to $1,275.80, up 0.20% on the day. Economists viewed the data as conducive for further monetary policy tightening on behalf of the Fed, which prompted a rise in rate hike expectations, with CME’s FedWatch Tool showing that markets are pricing in an 86.7% chance of a December hike. “The main takeaway from the jobs report was an increase in wages, which led the market to think that the Fed should stay with its current plan to raise rates in December and possibly again in June,” Bhar said. Bart Melek, head of global strategy at TD Securities, also sees gold heading somewhat lower next week. “Expectations that the Fed will tighten will drive gold,” Melek said, while adding that he sees the Fed raising rates in December and again early next year. Rate hike expectations for December have been steadily climbing since September when only a 33% chance has been priced in, said Jonathan Butler, analyst at Mitsubishi. “Gold is going to remain largely on the back foot in terms of macroeconomic factors next week,” Butler said. The only thing that could push gold higher is resurgence of safe haven trade and geopolitical concerns. “Situation in Spain, with Catalonia’s independence issue, is the one to watch.” It is also important to keep in mind that Asian physical demand will be playing a bigger role from now on, as festival season in India and a busy time in China near, Butler added. Analysts see gold’s range somewhere between $1,250 on the downside and $1,300 on the upside next week. “The key support level is going to be $1,250, which is also a level that we saw in August. And on the upside, the $1,300 level is looking quite interesting again from a psychological point of view,” Butler said. Bhar noted that he is watching a close below $1,270-75 on Friday, with support at $1,250 and $1,280-$1,300 on the resistance side. From the macroeconomic perspective, traders will be keeping a close eye on the U.S. Producer Price Index (PPI), scheduled for Thursday, as well as Consumer Price Index (CPI) and Retail Sales data, due for publication on Friday. As of now, the Fed is planning to raise rates three times next year, but could add an additional fourth time, according to Butler’s analysis. And the final key event next week will be Wednesday’s release of the Federal Open Market Committee (FOMC) meeting minutes from September, with traders scouring the text for any additional clues in terms of future monetary policy direction.